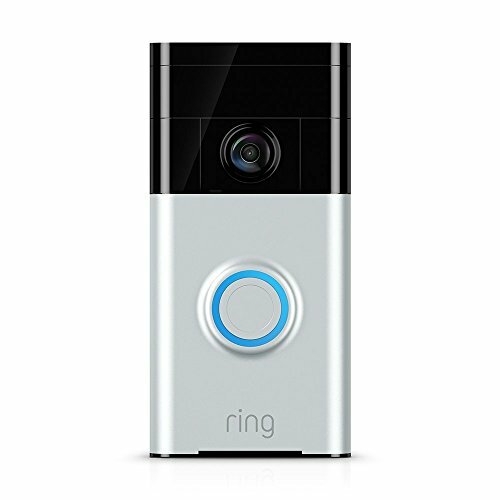 With smart motion detection, cloud recording, and wide angled HD video, the Ring Wi-Fi Enabled Video Doorbell allows you to answer your door from any location using your Smartphone. It comes with a night vision-enabled HD camera, providing a vivid view from the front door 24 hours a day, 7 days a week. Installation takes a matter of minutes, with no additional tools or professional help required. The built in chargeable battery allows you to connect it to any available doorbell wiring, or install it anywhere. Motion triggered alerts are sent through the free Ring app (Android or iOS), notifying you of incoming deliveries and guests. Cloud recording allows you to recap on any action you may have missed. 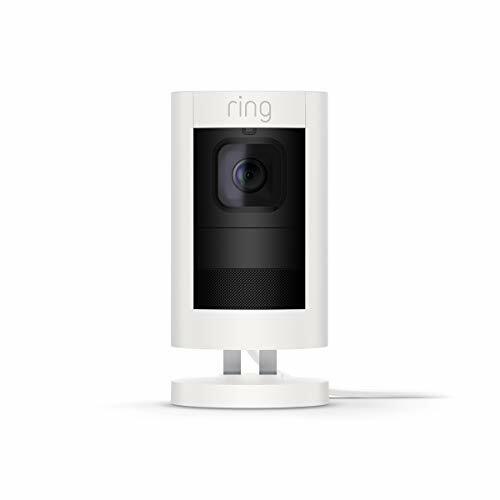 Measuring 5 by 2.5 by 0.9 inches, the Ring does not look like your usual doorbell. There is a 1280 X 720 pixel camera with a wide field of view (180 degrees) integrated into the upper part of the device, which is made of black plastic. It is also designed with a motion sensor, with the metallic lower part (which is available in Venetian Bronze, Polished Brass, Antique Brass, and Satin Nickel) containing an LED backlit button that flushes blue when pressed, and produces a very loud clang. A 5 by 2.5 inch mounting plate is packed with the doorbell that can you can attach to any surface, including stucco, vinyl, brick, cement, and wood. You’ll also get a small toolkit with the package, containing everything you will need to mount the doorbell, including mounting hardware, a weather sealant, a masonry bit, a screwdriver, and a lever. The device can operate between the ranges -5 to+120 degrees F, and you can connect it to your Wi-Fi network at home. You can recharge the internal battery by un-mounting your doorbell, and connecting it to a USB charger through the USB port at the back of the device. Lifetime purchase protection: If your doorbell gets stolen, don't worry, we'll replace it. For free. 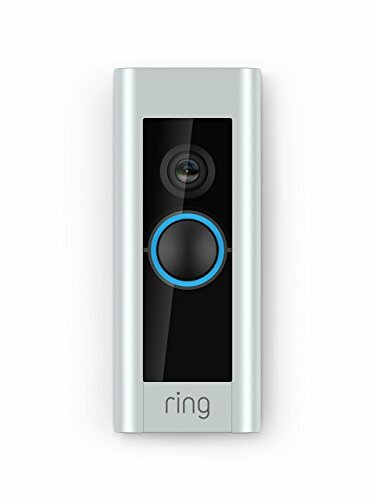 The Ring Wi-Fi Enabled Video Doorbell is compatible with android and iOS Smartphones, but it does not have PC web support. While the app is not very flashy, it is simple to use. When you press the Ring button, it will send a notification to your Smartphone, informing you that there is someone at the door. Once you tap the notification, a live feed will pop up, identifying the person at the door. You can choose to either deny or accept the call. If you choose the latter, you can initiate a conversation with the guest via the microphone icon. You can visit the Device Settings page of the app to turn on motion and notification alerts, change your location, and check the battery level. On the Motion Setting page, there is a video tutorial on how to use the Range and Zones settings to adjust motion sensitivity. To increase or reduce the number of unnecessary notifications, you can use the 3 Smart Alert sensitivity settings to identify continuous or repeated motion. You can also invite other uses, like family members, through the Shared User setting, which allows them to receive notification and motion alerts as well. Installation is relatively easy for the Ring Wi-Fi Enabled Video Doorbell. Download the app and create an account with your name, email, and password. 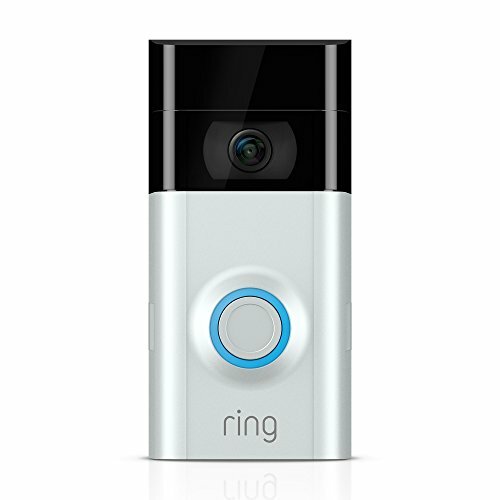 Give your Ring doorbell a name, and confirm your address and location. Using the directions on the app, press the button at the back of the device, go to the Wi-Fi settings of your Smartphone, and connect to their (Ring) SSID. 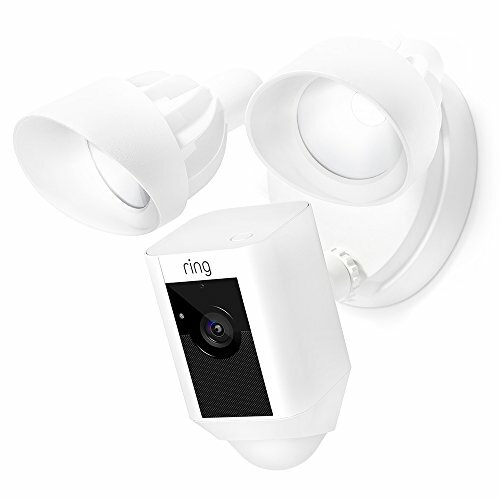 Using the wood screws in the package, mount the Ring Wi-Fi Enabled Video Doorbell onto the wood siding on the left side of your front door. If there is any other wiring existing of a previous doorbell, use it to supply power to your Ring, or simply use the internal battery. The whole process can take about ten minutes. The Ring Wi-Fi Enabled Video Doorbell allows you to monitor visitors and enhance your home security at the comfort of your seat. The 720 pixel camera provides clear video with good graphics, but could be better on the audio part. While you won’t get on demand video like in the SkyBell Wifi Video Doorbell, it does record events automatically and stores the video in the cloud, a significant feature currently missing with the SkyBell doorbell. The battery life is a hit or miss, but this won’t be a problem if you’ll be using existing doorbell wiring. The price tag is in the same category as home surveillance cameras such as the Icontrol Network Piper nv or the Nest Dropcam Pro, but all in all, it is a great purchase.